Remote access software for the administration of computers over the Internet! LiteManager 4.8.8 was available as a giveaway on May 21, 2018! 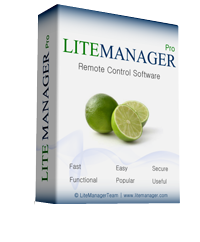 LiteManager — remote access software for remote administration of computers over the Internet or remote control in a local network, for distant learning, providing remote support to users and supervising work activity of employees. How would you improve LiteManager 4.8.8? If you are reading this using Chrome browser than you don't need much. another person wrote that the software that GOTD provides should only come from countries like Canada or Norway. Trendmicro is Japanese and Malwarebytes is Polish. Many others like that out there. another person wrote that the software that GOTD provides should only come from countries like Canada or Norway. Trendmicro is Japanese and Malwarebytes is Polish. Many others like that out there. where do you draw the line? Does this have to be on both computers please !! LiteManager consists of two main modules: 1) Viewer and 2) Server. For instructions on how to install each modulue, a detailed tutorial is provided here as it was already stated in previous comments. I just followed these instructions and it worked out fine for me. The one computer needs to install the server - the other the viewer, or even better install both on each computer! Kevin Hendon, The one computer needs to install the server - the other the viewer, or even better install both on each computer! After re-starting the LM Viewer, I still see "LM Viewer Free -FOC version of Lite Manager" . It doesn't say Lite Manager PRO. After installing the LM Viewer did you successfully register it using the long KEY found in the README.txt file or did you forget this step? drvajra, After installing the LM Viewer did you successfully register it using the long KEY found in the README.txt file or did you forget this step? The license server count shows 1. Can this be used to connect to multiple server PCs? like TV? The license server count shows 1. Can this be used to connect to multiple server PCs? like TV? While installing, there comes a dialog box SECURITY AUTHORIZATION, Single password protection. Do I have to enter a passwrod? or should I leave it 'empty'? Denis Y, thanks for your link. Here's the problem -- your company is in Russia -- "Address: 'Cherry Tower', 56, Profsoyuznaya st., 117393 Moscow, Russian Federation"
You might be the greatest guys in the world, but your government is engaged in internet spying, theft, extortion and malware on a colossal scale. There is no way to have any confidence that your program - which must run all the time for unattended access - isn't spyware. I want a backup for TV Free, especially since LogMeIn is no longer free, bit I must pass. Denis Y, thanks for your link. Here's the problem -- your company is in Russia -- "Address: 'Cherry Tower', 56, Profsoyuznaya st., 117393 Moscow, Russian Federation" You might be the greatest guys in the world, but your government is engaged in internet spying, theft, extortion and malware on a colossal scale. There is no way to have any confidence that your program - which must run all the time for unattended access - isn't spyware. I want a backup for TV Free, especially since LogMeIn is no longer free, bit I must pass. It's NOT that a fear that your software contains viruses. ( b ) your own government will spy on us even without your knowledge and participation. You have two ways to address this. 2 -- Change your government. Yes, the US also has spys and spyware, btu we also have avenues of Constitutional and democratic investigation and responsibility -- we don't have to move, we change our government all the time.
. [ Denis Y ], It's NOT that a fear that your software contains viruses. It's a fear that because you are in Russia, a sworn enemy of the free world, as stated, engaged in internet spying, theft, extortion and malware on a colossal scale, that ( a ) our agencies and corporations will respond in shock and firing and prosecution if we use Russian products, especially Russian products that PHONE HOME TO RUSSIA, and ( b ) your own government will spy on us even without your knowledge and participation. You have two ways to address this. 1 -- Move. 2 -- Change your government. Yes, the US also has spys and spyware, btu we also have avenues of Constitutional and democratic investigation and responsibility -- we don't have to move, we change our government all the time. Frankly, I think we should only use software from Canada and Norway ... .
glnz, great point. I have reconsidered. I just can't take any chances. No problem, it's your choice, You can uninstall and delete LM. We are independent software development Team. LM can work absolutely independently from Internet, for example in closed network. Peter Blaise, No problem, it's your choice, You can uninstall and delete LM. We are independent software development Team. LM can work absolutely independently from Internet, for example in closed network. there are many programs from other countries that are not from Canada, Norway and the USA that are perfectly fine. Peter Blaise, there are many programs from other countries that are not from Canada, Norway and the USA that are perfectly fine. neooenr, I hope that's sarcasm. My comment and this thread branch is about security and trust against phoning home to mother Russia, hence my wondering what countries are safe in the eyes of agencies and employees to use software from. Sadly, we have no statistics on breaches and the software that was guarding them when they happened, so Microsoft and Oracle may actually be the world's riskiest and most vulnerable software vendors ... we'll never know.
. [ Bill ], My comment and this thread branch is about security and trust against phoning home to mother Russia, hence my wondering what countries are safe in the eyes of agencies and employees to use software from. Sadly, we have no statistics on breaches and the software that was guarding them when they happened, so Microsoft and Oracle may actually be the world's riskiest and most vulnerable software vendors ... we'll never know. . Thanks for stating that your LiteManager software works inside a closed circuit private LAN for remote control of computers on that closed and sealed non-Internet connected LAN. I cannot imagine that is your target customer audience, not do I know of any such installations. Considering that your software is distributed over the Internet, I'd say that your software audience is Internet users. So even though I may want to control my own suit of computers from one chair, my LAN is on the Internet regardless. Perhaps what you meant to say is that when LiteManager connects computers using private LAN addresses, such as 192.168.1.50 calling 192.168.1.60, then your software does not phone home over the Internet ... if that's what you meant to say, please clarify.
. [ Denis Y ], Thanks for stating that your LiteManager software works inside a closed circuit private LAN for remote control of computers on that closed and sealed non-Internet connected LAN. I cannot imagine that is your target customer audience, not do I know of any such installations. Considering that your software is distributed over the Internet, I'd say that your software audience is Internet users. So even though I may want to control my own suit of computers from one chair, my LAN is on the Internet regardless. Perhaps what you meant to say is that when LiteManager connects computers using private LAN addresses, such as 192.168.1.50 calling 192.168.1.60, then your software does not phone home over the Internet ... if that's what you meant to say, please clarify. Thanks. .
TeamViewer functions for repeated 5 minute sessions with a delay between when commercial use is suspected but a commercial license is not engaged, enough time to initiate and check in later for a variety of remote tasks, effective and functional on unattended remote computers, but interruptive of a continuous experience with an end user sitting and waiting for the next instruction or action. I really appreciate and feel for you that you are working sincerely and diligently to only provide the features and benefits you claim, and to make them competitive and superior, but you have a Putin problem -- we have a T-Rump problem, and evidence is revealing that they are one and the same, so I know you say "no politics, please" but politics is unavoidable. I wish us all good luck with that.
. [ Denis Y ], TeamViewer functions for repeated 5 minute sessions with a delay between when commercial use is suspected but a commercial license is not engaged, enough time to initiate and check in later for a variety of remote tasks, effective and functional on unattended remote computers, but interruptive of a continuous experience with an end user sitting and waiting for the next instruction or action. Thank you for sharing that your software can use ports rather then IP ( which you call NOIP rather tn NoIP or Ports ): http://www.litemanager.com/support/Knowledgebase_en/instr_noip_private/ ... but somehow Russia still gets involved: http://www.litemanager.com/forum/en/viewtopic.php?f=3&t=867&start=10 __________ I really appreciate and feel for you that you are working sincerely and diligently to only provide the features and benefits you claim, and to make them competitive and superior, but you have a Putin problem -- we have a T-Rump problem, and evidence is revealing that they are one and the same, so I know you say "no politics, please" but politics is unavoidable. I wish us all good luck with that. . So you only register the "viewer" part of the software, not the "server" part. I'm at home now, but won't be at work until tomorrow where I would want to be able to remote in a view my home computer. Since I can't register the software until I am at work tomorrow, does that mean I am out of luck using it because I can't register before the Giveaway offer is over? If so, that's rather unfortunate. Martin, if you register today the VIEWER-part of the program and set it to PRO, them you are done for now. And tomorrow you can install the server part; that one does not need a code. After re-starting the LM Viewer, I still see "LM Viewer Free -FOC version of Lite Manager" . It doesn't say Lite Manager PRO. Many thanx for your help. drvajra, I did install the software again in a Win10-64. Again something about Pro and Free, I activated Pro. Closed the program. And then I started the program and it was Pro. This time the connection with a server was installed quicker. I can not register the app, when I click the help button, I get another help and About, when I select this second help, open the help explanation which is not for registration, when I select about, I get explanation of the software and not for registering, please help, I do not know where I mistake. I wouldn't use VNC or RDP unless I already had an encrypted VPN tunnel established. They don't have the sort of built in security that Lite Manager should have. Also I'm another example of someone frequently needed to connect to other computers. I'll try LiteManager out and if it does what I need I'll happily by it and stop relying on TeamViewer Free so much. I wouldn't use VNC or RDP unless I already had an encrypted VPN tunnel established. They don't have the sort of built in security that Lite Manager should have. Also I'm another example of someone frequently needed to connect to other computers. I'll try LiteManager out and if it does what I need I'll happily by it and stop relying on TeamViewer Free so much. Just a suggestion to GAOTD team. I want to suggest that only if you have written a comment you will be able to upvote or download a product. This may prevent in some way that people upvote or download just because of the name of the product, or because it may be helpfull for them or not, without really knowing how good or not the software is. Thanks. VNC is a cross-platform remote screen sharing/control software that works on any system. Remote Desktop or RDP protocol is a Microsoft specific method of remoting to a session on your PC. It cannot do remote desktop sharing without Remote Assist. Kjoh18,Microsoft remote desktop does NOT require enabling remote assistance to function as designed they are two different products. Remote Assistance is just that and is available on all issues of windows versions that support the technology home, basic business and ultimate. While remote desktop is intended to be a business edition and up feature and is not available on home targeted editions of windows. Never having used remote assistance because I've never needed to ask anyone for it... but I think you'll find that when you are being assisted remotely both the localy logged in user and the remote assistor can see and control the same desktop but with Remote Desktop only the person logged in remotely sees the desktop and it cannot be seen by a locally logged in user AND the remote logged in user at the same time. 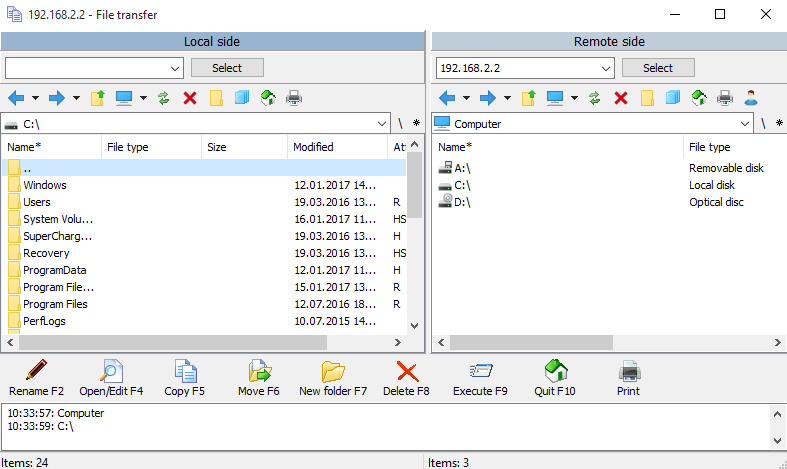 It is possible to hack Home editions of windows to permit Remote desktop terminal services to work as if it was a terminal server and allow simultanious multi-user logins using remote desktop protocol... I am using it now as my main Vista laptops GPU has partially seperated from the motherboard and no longer talks to the flat panel display properly so I access it via RDP from my WIndows 10 Business machine. It is also possible to login via RDP from an android device using the Microsoft Remote Desktop APP too. TeamViewer portable free edition is my current go to remote assist tool to help others remotely in a non-professional capacity. Kjoh18,Microsoft remote desktop does NOT require enabling remote assistance to function as designed they are two different products. Remote Assistance is just that and is available on all issues of windows versions that support the technology home, basic business and ultimate. 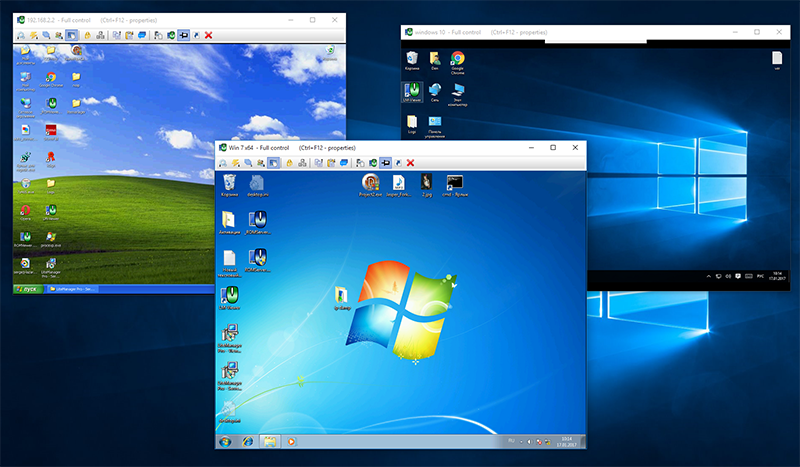 While remote desktop is intended to be a business edition and up feature and is not available on home targeted editions of windows. Never having used remote assistance because I've never needed to ask anyone for it... but I think you'll find that when you are being assisted remotely both the localy logged in user and the remote assistor can see and control the same desktop but with Remote Desktop only the person logged in remotely sees the desktop and it cannot be seen by a locally logged in user AND the remote logged in user at the same time. It is possible to hack Home editions of windows to permit Remote desktop terminal services to work as if it was a terminal server and allow simultanious multi-user logins using remote desktop protocol... I am using it now as my main Vista laptops GPU has partially seperated from the motherboard and no longer talks to the flat panel display properly so I access it via RDP from my WIndows 10 Business machine. It is also possible to login via RDP from an android device using the Microsoft Remote Desktop APP too. 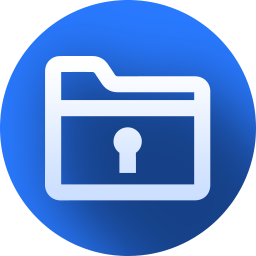 TeamViewer portable free edition is my current go to remote assist tool to help others remotely in a non-professional capacity. I totally understand what You're talking about. As I understand it with Sandboxie, you only install it the one time and if you like it then you can remove the Sandbox restrictions, if you do not like it then just you just delete the sandbox entirely. That way you don't have to worry about installing "... before I forget & the clock runs out on the offer)." Six of one, Half of the other. Sandboxie does have many uses, for example: allowing the safety of web-browsing and if you pickup malware or viruses etc you can just delete the Sandbox. Zarf, I totally understand what You're talking about. One Question: why use a Virtual Machine(? ), have you thought about or ever tried Sandboxie v5.x As I understand it with Sandboxie, you only install it the one time and if you like it then you can remove the Sandbox restrictions, if you do not like it then just you just delete the sandbox entirely. That way you don't have to worry about installing "... before I forget & the clock runs out on the offer)." Six of one, Half of the other. Sandboxie does have many uses, for example: allowing the safety of web-browsing and if you pickup malware or viruses etc you can just delete the Sandbox. "As I understand it with Sandboxie, you only install the GiveawayOfTheDay Offer the one time and if you like it then you can remove the Sandbox restrictions, if you do not like it then just you just delete the sandbox entirely." My apologies for not not reading my entire comment properly before I posted it. Sorry Zarf, ... when I said 'install it' I meant to say 'the GiveawayOfTheDay Offer' So that 3rd sentence in my comments should read as: "As I understand it with Sandboxie, you only install the GiveawayOfTheDay Offer the one time and if you like it then you can remove the Sandbox restrictions, if you do not like it then just you just delete the sandbox entirely." My apologies for not not reading my entire comment properly before I posted it. Zarf, if I am away from my main PC and on my laptop, can I access that PC without anyone having to enter any access codes or otherwise? In other words, will this program on my Windows 10 PC always be available to access when I travel with my laptop? Peter C1, thanks for pointing out Sandboxie - I do use it on some stuff but my personal preference is still VirtualBox for testing GAOTD offerings. I keep one VMLK file with a dozen or so test photos, some short mp4 movies, pdfs, etc. so if today's program happens to be say an image manipulator I know which photo I'll use to um erase the fire hydrant, etc. I keep this on a USB stick & even if I'm at a client's site for the day I can still hack away without worry. If I was always at home base Sandboxie would be fine. LM, generally yes but there are a few considerations you have to take in account. First is whether or not your home internet provider allows inbound connections. If it doesn't you'll need some software which links to a third-party 'switchboard' to connect around firewalls. Reading LightManager's website it sounds like they offer such a service however you are relying that it will always be available. Your computer must also be powered up and connected when you try to remote in. In my case the ISP I use allows inbound connections so I can leave my machine powered off. When I want to use it I send the wake-on-lan command and when it boots it runs TightVNC server as a service which listens for my laptop. If you have a Windows password VNC must run as a SERVICE so it starts before Windows asks for the password otherwise you'll never get on. Anyway too many permutations to go through here but search for VNC or check the FAQs for remote software (like this one) as many folks have the same hoops. Good luck! LM, generally yes but there are a few considerations you have to take in account. First is whether or not your home internet provider allows inbound connections. If it doesn't you'll need some software which links to a third-party 'switchboard' to connect around firewalls. Reading LightManager's website it sounds like they offer such a service however you are relying that it will always be available. Your computer must also be powered up and connected when you try to remote in. In my case the ISP I use allows inbound connections so I can leave my machine powered off. When I want to use it I send the wake-on-lan command and when it boots it runs TightVNC server as a service which listens for my laptop. If you have a Windows password VNC must run as a SERVICE so it starts before Windows asks for the password otherwise you'll never get on. Anyway too many permutations to go through here but search for VNC or check the FAQs for remote software (like this one) as many folks have the same hoops. Good luck! You have access to a virtualbox at work? Zarf, you probably already know all this, but for those triggered into setting up WOL read: https://supportforums.cisco.com/t5/wan-routing-and-switching/wake-on-lan-securty-concerns/td-p/2525815 before thinking you're secure safe and sound... You have access to a virtualbox at work? lidl1, thanks for the info. Completely agree that an open WOL can expose a small security hole especially if someone has done a man-in-the-middle attack to intercept the MAC addy. I omitted some of the techno-stuff just to illustrate the basic advantage of remoting in. In a bit more detail what I do is first VPN into my home router which is running Tomato firmware, after I become a peer on my home 10.x.x.x LAN I then issue the WOL which is encapsulated in the SSH tunnel followed by the VNC connect. This should be rather safe although anyone successfully breaking into my home LAN will be disappointed by the meager offerings until they also break into the VeraCrypt containers. Cheers. has several free of charge online checks to see how vulnerable (exposed) you are. also the tools checking status for Spectre and Meldtdown on your PC. 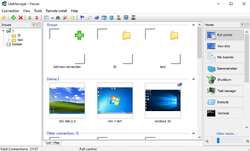 Hmm... what's the difference to VNC or Remote Desktop?